Add natural yoghurt to your bowl. Now add the Berry Fix muesli in a nest shape on the outside part onto the yoghurt. Wash the blueberries and add a smaller circle to it. Cut the pomegranate and get the seeds out. Place them in the middle of your bowl. Now add the chocolate Easter eggs and you’re ready. Make sure you unwrap the Easter eggs before consuming. Add Berry Fix muesli to your bowl and top it up with almond milk or a milk of your choice. Wash the raspberries and drop them onto your muesli. Drizzle some peanut butter on top and you’re ready to go. Enjoy! 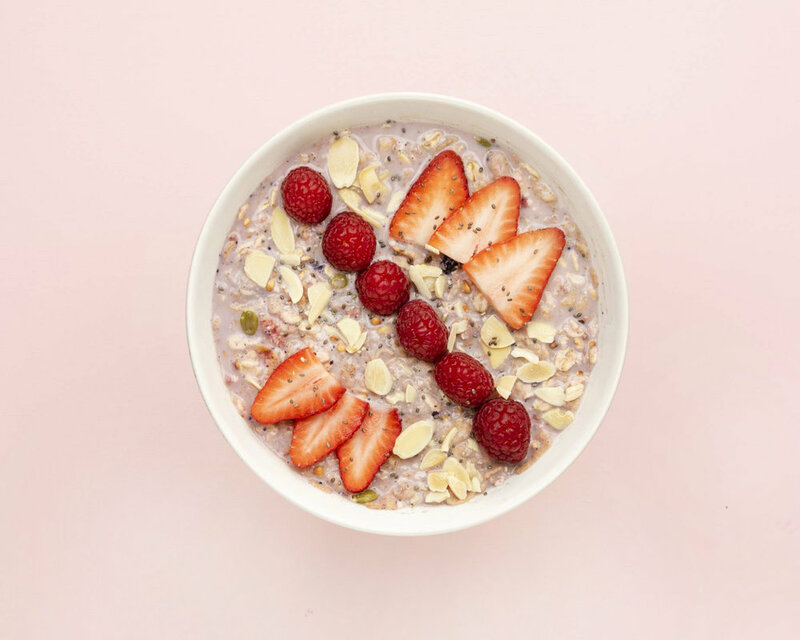 Add a serving of Berry Fix muesli to your bowl and top it with Califia Farms unsweetened almond milk. Wash and cut the strawberries. Place them on both sides of your bowl. Now wash the raspberries and build a line through the middle. Sprinkle some flaked almonds and chia seeds on top. Yum! It may seem like quite a challenge to go vegan as this also means having to cut out some of products you potentially love. But there are so many, incredibly tasty products out there now, which are fully vegan and taste delicious too. Why not give this bowl a go. Fill your bowl with Berry Fix muesli and add the almond milk onto it. Wash the blueberries and place them on top. Cut the passion fruit and with the help of a spoon place the seeds next to the blueberries. Finish by sprinkling some sunflower seeds onto it. Fully #vegan and so delicious! 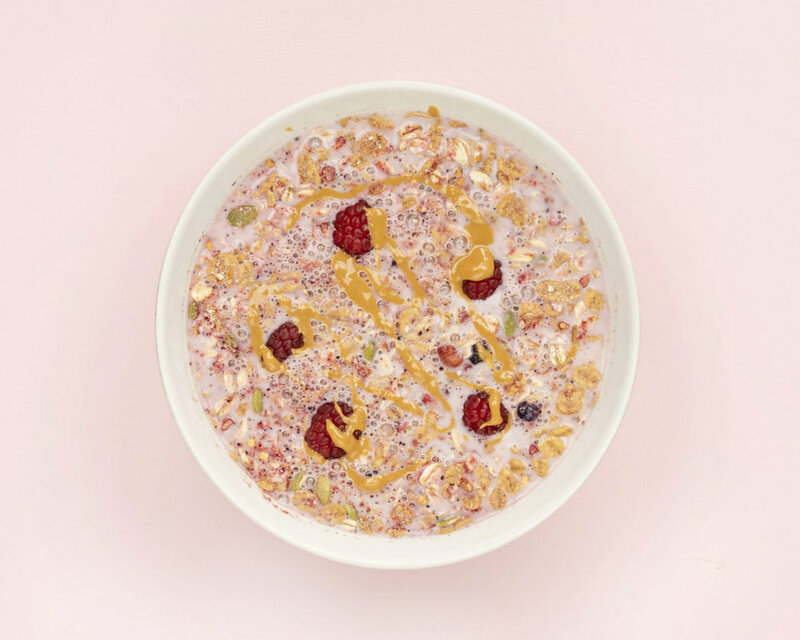 Add Berry Fix muesli to your bowl top with milk. Now add some blueberries and sliced banana on top. Finish with a dollop of peanut butter and a blueberry. A tasty vegan breakfast bowl. To form a base add some yoghurt to your bowl. Add a handful of Berry Fix on top of the yoghurt. Wash and cut your fruit to bite size and sprinkle on top. Now add a spoon full of fruit compote and Pip & Nut smooth peanut butter onto your creation.